Grueva M, Zhelev P (2011). Population genetic structure of Platanus orientalis L. in Bulgaria. iForest 4: 186-189. This paper reports the results of a genetic survey on population structure of Platanus orientalis L. in Bulgaria. Nine populations from southern Bulgaria were investigated by using isozyme gene markers. Nine of the enzyme systems were polymorphic. The populations revealed minor polymorphism, which indicates that the predominant allele was the same for all populations and its frequencies were higher than 0.5. The average number of alleles varied from 2.2 to 2.3, and the effective number of alleles ranged from 1.294 to 1.406. The percent of polymorphic loci ranged from 53.8% to 76.9%. Heterozygosity in the populations (average: 0.242; range: 0.229-0.289) was higher than the mean values reported for broad-leaved species (0.183). The expected and observed heterozygosities had similar values. The results showed that genetic diversity among populations measured by FST (0.077) and genetic distances (mean 0.029) was within the range of the values for Angiosperm tree species. The information could be used for designing proper gene conservation strategies. Serum ß-globulin polymorphism in mice. Australian Journal of Biological Sciences 14: 248-253. An introduction to population genetics theory. Harper & Row, New York, USA, pp. 591. Shannon’s brief foray into genetics. Genetics 159 (3): 915-917. Genetic diversity and gene conservation of Pacific silver fir (Abies amabilis) on Vancouver Island, British Columbia. Forest Genetics 4 (2): 85-98. Genetic variation of Pacific yew in British Columbia and its conservation. In: “Population genetics and genetic conservation of forest trees” (Baradat P, Adams WT, Mller-Starck G eds). SPB Academic Publishing bv, Hague, The Netherland, pp. 227-235. Population differences in quantitative characters and gene frequencies: a comment on the papers by Lewontin and Rogers. American Naturalist 127 (5): 731-732. Some distance properties of latent root and vector methods used in multivariate analysis. Biometrika 53: 325-338. Factors influencing levels of genetic diversity in woody plant species. 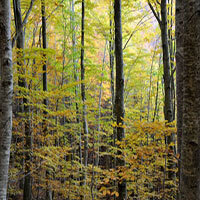 New Forests 6: 95-124. Population structure of a riparian willow species, Salix viminalis L. Genetical Research 68: 45-54. Detecting population differences in quantitative characters as opposed to gene frequencies. American Naturalist 123 (1): 115-124. Population genetics. Annual Review of Genetics 19: 81-102. Mini-monograph on Platanus orientalis L. in Iran. Technical consultation on fast-growing plantation of broadleaved trees for Mediterranean and temperate zones. FAO-FGB-79-8/2, FAO, Rome, pp. 19. Estimation of average heterozygosity and genetic distance from a small number of individuals. Genetics 89 (3): 583-590. Vegetative propagation of Platanus orientalis × P. occidentalis F1 hybrids by stem cuttings. Forest Genetics 1 (3): 125-130. Genetics and breeding of the genus Platanus. Reunion AGRIMED, Antibes (France) 29-30 October 1984. SYN-TAX 5.0: Computer programs for multivariate data analysis in ecology and systematics. Abstracta Botanica 17: 289-302. GENEPOP (version 1.2): population genetics software for exact tests and ecumenicism. Journal of Heredity 86: 248-249. Hybrid vigor in seedlings of re-created London plane. Nature 225: 1159-1160. Starch gel electrophoresis of enzymes - a compilation of recipes. Biochemical Genetics 4: 297-320. A comparison of three indirect methods for estimating average levels of gene flow. Evolution 43: 1349-1368. Rare alleles as indicators of gene flow. Evolution 39: 53-65. BIOSYS-1: a computer program for the analysis of allelic variation in population genetics and biochemical systematics. Illinois Nat. Hist. Survey, Illinois, USA, pp. 43. Platanaceae. In: “Flora Europaea 1” (Tutin TG et al. eds). Cambridge University Press, Cambridge, UK, pp. 384. Red data book of Bulgaria 1 plants. Bulgarian Academy of Sciences, Sofia, Bulgaria, pp. 447. [in Bulgarian]. Estimating F-statistics for the analysis of population structure. Evolution 38: 1358-1370. The interpretation of population structure by F-statistics with special regard to systems of mating. Evolution 19: 395-420.